It’s hump day, which means it’s time to start mentally planning your end-of-the-week celebrations. To help ease your wardrobe woes and worries this weekend, I’ve got you covered: Here are five outfits to keep you out on the town and not stuck in your closet when Friday rolls around. 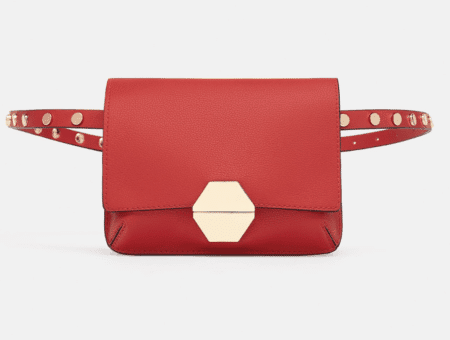 As always, all looks are under $100 total. You already know what your Friday night has in store: Crooning “Don’t Stop Believin'” surrounded by a table of your best girlfriends has been on the books since Monday morning. Channeling your inner glam-rockstar is simple; stand out with a shimmering top, a messy ponytail, long earrings, and strappy metallic sandals. After a long night of singing and bar hopping, it’s hard to find motivation to look cute for your Saturday AM student council campus cleanup or volunteer work. Thankfully, I have you covered so you will look adorable – and sensible! – while walking dogs for the local shelter or cleaning up your school. 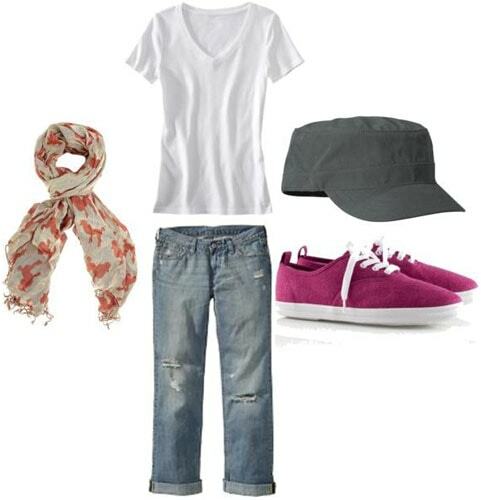 Obviously this kind of look requires very little effort, but adding a scarf, cute cap, and bright sneakers to your jeans-and-tee uniform will leave you standing out in a sea of sweatpant-clad volunteers. Saturday afternoon is time to get your sweat on. 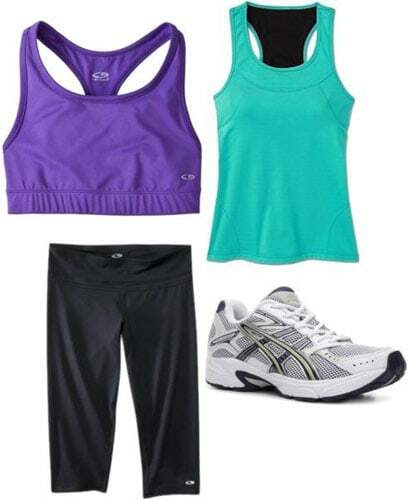 If you’re headed to kickboxing, yoga, hiking, or the gym, wear color. You’ll be amazed at how much more motivated you’ll be when you’re looking fine in workout clothes, rather than throwing on your rattiest tee. 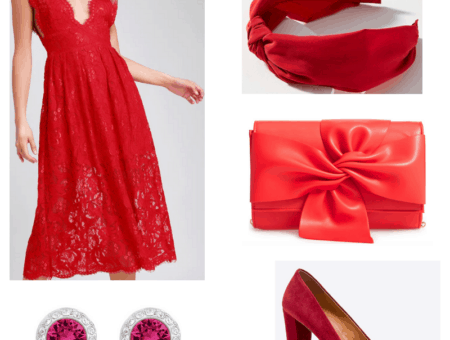 Formal night is finally here, but it doesn’t mean splurging on a crazy-expensive gown: ASOS, H&M, and Forever 21 have some great picks for dressing up without spending your entire paycheck! The dressy look I’m loving right now is a metallic dress with opaque black tights and sky-high black pumps. The perfect study group outfit does not require an immense amount of planning. 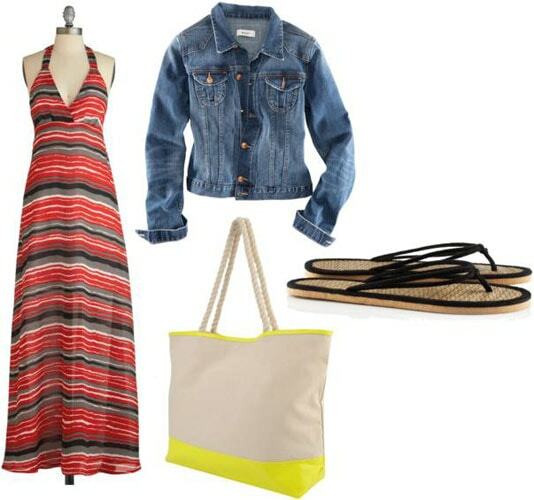 Stay casual, but look nice: A bright maxi dress and denim jacket are perfect for a spring afternoon, but don’t forget a cute tote for your books. Are you dressing up, dressing down, or both? Will you be going to any of these events this weekend? Which look or piece above is your favorite? Leave a comment below and let me know!